Cool summer nights and snowy winter days are not typically associated with Arizona, yet that’s just what you’ll find in the beautiful city of Flagstaff. The pine mountains, Native American ruins, and volcanic landscapes surprise and delight visitors of all ages. Discover why Flagstaff is a favorite retreat of Arizonans, and find fun things to do in Flagstaff with Kids. We’re an affiliate of Booking.com. When you book through us, you still get their lowest price guarantee and we get a few dollars. 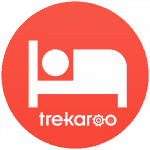 Thanks for helping to keep Trekaroo free. The diverse landscape of Flagstaff makes it ideal for outdoor adventure. The mountain range was formed by volcanoes, leaving awesome formations to explore. Hike through a tube where lava once flowed in the Lava River Cave. You will have to crawl over some rocks and boulders but the hike is easy enough for preschoolers to manage. Bring some flashlights and jackets because the cave stays dark and cool year round. 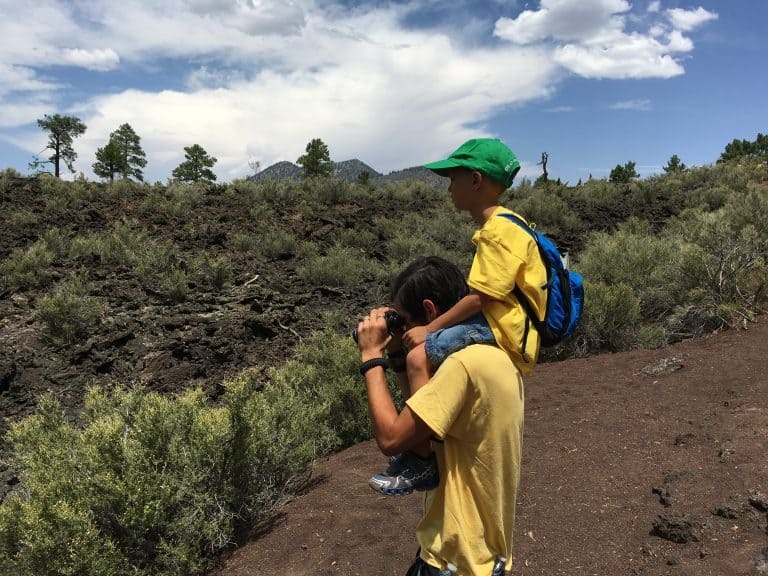 At Sunset Crater Volcano National Monument, families walk through black lava fields beneath a dormant volcanic crater. Pick up a Junior Ranger packet and trail guide from the visitors center before heading out to the trails. The visitors center is full of fun and interactive exhibits as well, so plan to spend some time there. Included in admission to Sunset Crater is entrance to Wupatki National Monument. The drive between the two parks is gorgeous as pine forests give way to red rocks. 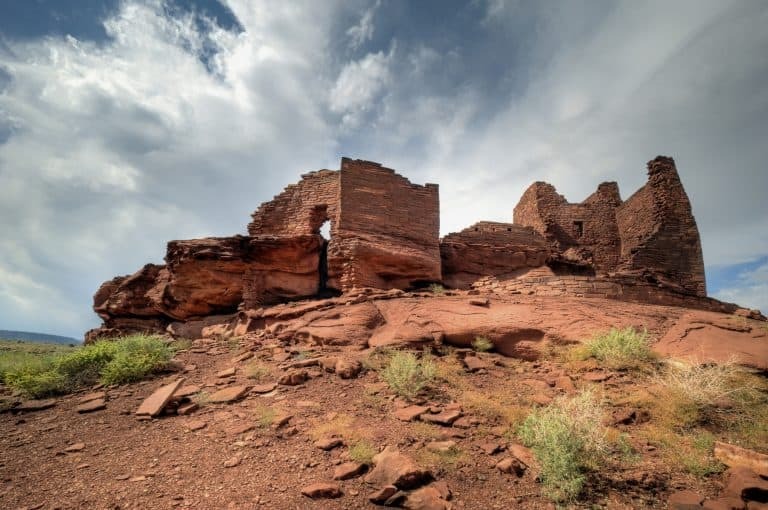 At Wupatki, stop by the visitors center to learn about the native people who lived in these prehistoric pueblos (and to grab your Junior Ranger packet and trail guide). The trail that starts behind the visitors center leads you past the 100-room Wupatki Pueblo. Kids will love exploring the trails, the pueblo’s ancient community center, and ball court, and even inside some of the pueblo rooms. Be sure to continue to the end of the trail to experience the blowhole phenomenon. 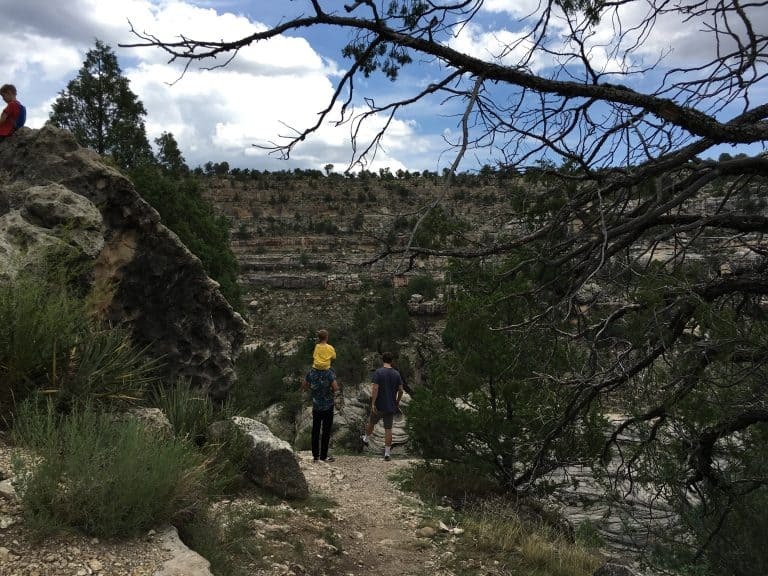 Flagstaff is home to amazing cliff dwellings at Walnut Canyon National Monument. The hike down from the visitors center (don’t forget to grab that Junior Ranger packet!) to the cliff dwellings contains a daunting amount of steps but is well worth it. Along the trail, you can pop inside the 900-year-old structures and imagine what life was like for the Native American’s who lived there. There are some drop-offs but if you have a good child to adult ratio, it’s not too bad. If you can’t make it down the stairs, you can still enjoy the breathtaking canyon scenery and view the cliff dwellings from above. 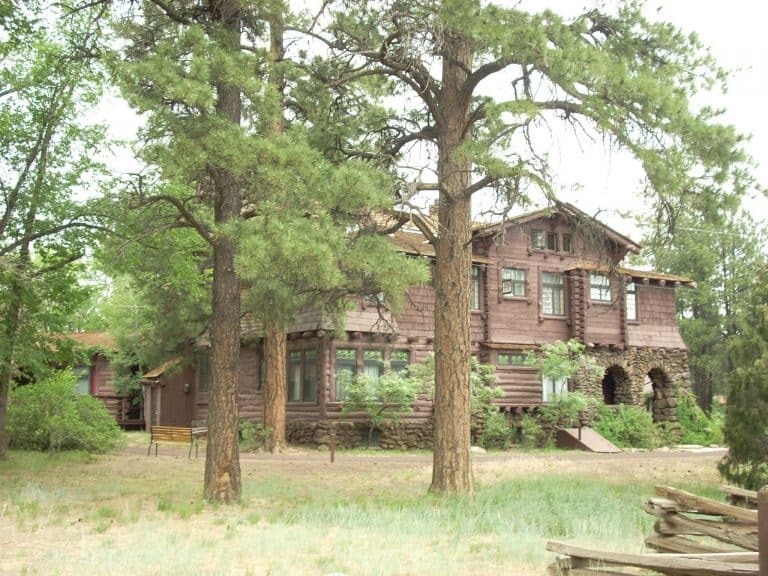 Explore the history of Flagstaff by visiting the Pioneer Museum, housed in the 1908 hospital building. Children will enjoy the outside exhibits, including a train they can climb on and antique cars and farm equipment. There is also a kids room with dress-ups and touchable artifacts. If your kids are old enough to keep from touching things for a little while (probably ages 8 and up), check out the Riordan Mansion State Historic Park. While half the 1900’s home is hands-off, the other half is an interactive museum where families are encouraged to touch and play. Arizona State Parks offer their own Junior Ranger program so kids can enjoy earning that here too. 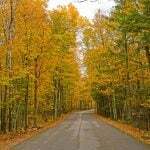 Find deals on great hotels for families in Flagstaff. 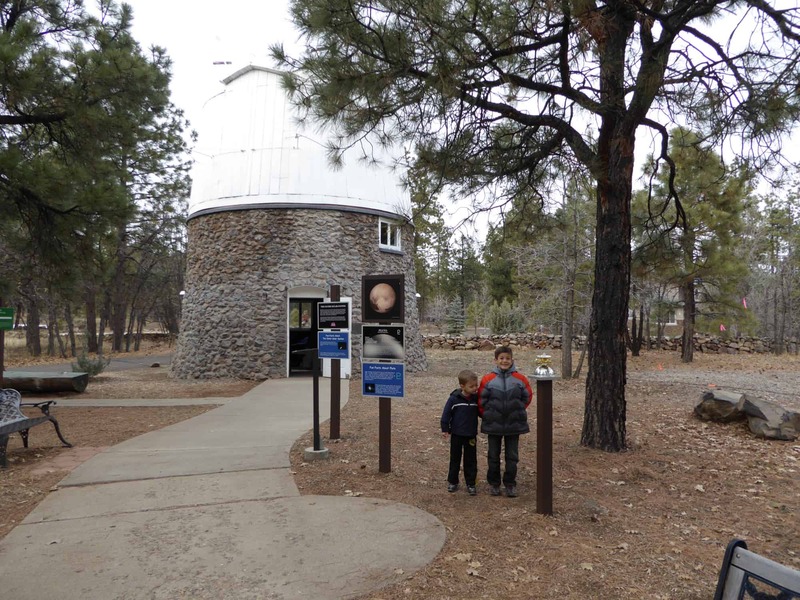 Did you know Pluto was discovered at the Lowell Observatory in Flagstaff? Take the Pluto tour to learn all about the fascinating discovery of this distant planet. If your kids are too young to follow a tour, they can enjoy quietly running among the ponderosa pines that line the trails while you listen to the guide. Or skip the tours and enjoy mountain forest with the spacial walks representing the relative distance between planets and solar systems. 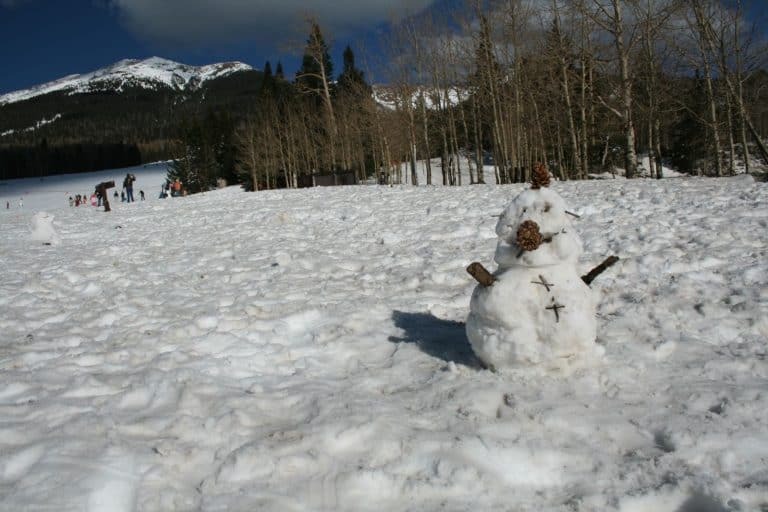 When the weather turns colder, Flagstaff visitors can enjoy playing in the snow. Wing Mountain Snowplay Area offers cross-country skiing and snowshoe trails, as well as plenty of sledding hills. They even sell sleds and hot chocolate on-site. If you are more into downhill skiing, you’ll want to head to Arizona Snowbowl. They offer equipment rentals and lessons for all ages. If you are lucky enough to be in Flagstaff for the holiday season, plan ahead and buy tickets for the North Pole Experience. 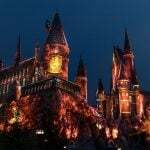 From the Little America Hotel you will be magically shuttled to Santa’s workshop for an exclusive tour lead by elves and ending with a private visit with Santa himself. There are some great hotel options for families staying in Flagstaff. Check out Embassy Suites Flagstaff for their all-suite rooms and awesome made-to-order breakfasts. My family of seven has always been comfortable in the spacious rooms at Springhill Suites, and the kids love the fresh waffle bar at the free buffet breakfast. If you are visiting in the winter, you’ll want to stay at the Little America Hotel. As the portal for the North Pole Experience, the hotel is decorated with twinkling lights and filled with elves. It is also located in the middle of a ponderosa pine forest so there is lots of wilderness to explore right outside your door. Find deals on these family-friendly hotels in Flagstaff and more. 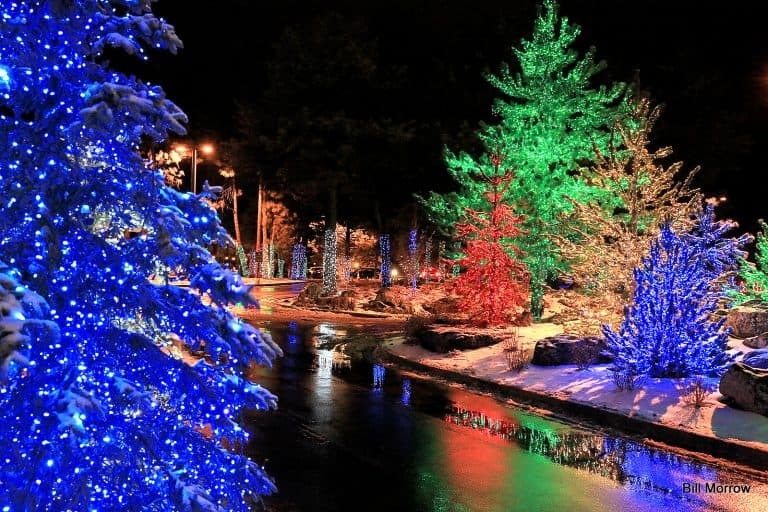 For more holiday fun, check out our full guide on Christmas Events in Flagstaff. While Flagstaff is home to lots of the major chains, we know that Trekaroo families love trying the local restaurants. 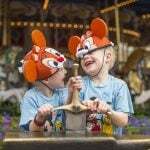 Luckily, Flagstaff has some great ones for families. Bigfoot BBQ not only has a tasty selection of southern fare, it also has a fun kids area. Satisfy your craving for some south-of-the-border food at Flagstaff’s best Mexican restaurant, Salsa Brava. 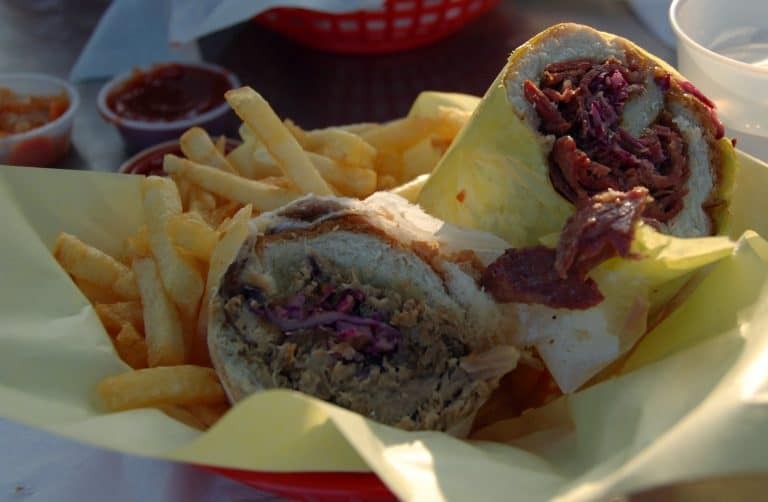 If you have some picky eaters, head over to Beaver Street Brewery where you’ll find a vast menu that is sure to please everyone. 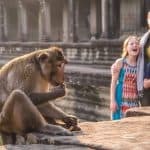 Visiting more of Arizona with the kids? 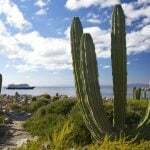 Check out our Top 10 Things for Families to do in Arizona. Check for amazing deals on family-friendly hotels in Flagstaff. Tiffany Vaughn is the one of Trekaroo's Travel Experts located in Arizona. She is also an avid explorer of local and remote destinations. She and her five kids enjoy tagging along with Dad on business trips to find new adventures. She believes that there are always new experiences to discover, even in your home town.